A double agent has infiltrated the highly classified Marvel Universe and is leaking sensitive top secret information about upcoming episodes of “Marvel’s Agents of S.H.I.E.L.D.” in the new five-part original Web series “Marvel’s Agents of S.H.I.E.L.D. : Double Agent,” debuting today on MarvelsDoubleAgent.com, ABC.com and the WATCH ABC app. Sponsored by Lexus, “Marvel’s Agents of S.H.I.E.L.D. : Double Agent” follows the actions of a newly hired production assistant who is actually working as a double agent on behalf of an unknown enemy known only as The Mastermind. In each episode, The Mastermind orders the Double Agent to infiltrate different restricted areas on the “Marvel’s Agents of S.H.I.E.L.D.” set, including executive offices, wardrobe and soundstages, among others. Through hidden cameras, The Mastermind can see everything, providing viewers with an inside look at the secretive world of the show -- often uncovering critical story elements to future episodes. Beginning today, viewers will have the chance to weigh in to predict where they think The Mastermind will send the Double Agent next. After each episode a poll will be posted with a list of possible locations from which they can choose. Once viewers pick where they think the Double Agent should go, they will be given an opportunity to enter for the chance to win prizes from the sets of “Marvel’s Agents of S.H.I.E.L.D.” and “Marvel’s Agents of S.H.I.E.L.D. : Double Agent.” The remaining four episodes will post at 9:00 a.m., PT: March 18, April 1, April 22 and May 6. To enter the “Marvel’s Agents of S.H.I.E.L.D. : Double Agent Sweepstakes,” and for official rules, visit MarvelsDoubleAgent.com. The sweepstakes is open until May 13, 2015. No purchase necessary. A winner will be chosen at random Wednesday May 15, 2015. “Marvel’s Agents of S.H.I.E.L.D. : Double Agent” is a collaboration between Disney|ABC Digital Media Studios, Marvel Entertainment and Lexus. Presented by Lexus, the series features the first-ever NX Turbo. “Marvel’s Agents of S.H.I.E.L.D.” airs TUESDAYS (9:00-10:00 p.m., ET) on the ABC Television Network. 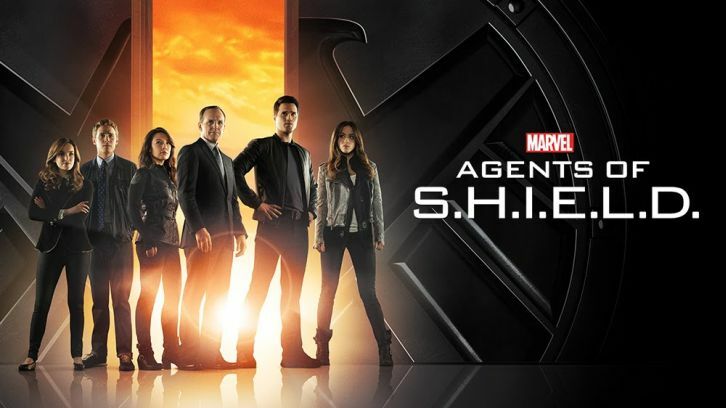 The series stars Clark Gregg as Director Phil Coulson, Ming-Na Wen as Agent Melinda May, Brett Dalton as Grant Ward, Chloe Bennet as Agent Skye, Iain De Caestecker as Agent Leo Fitz, Elizabeth Henstridge as Agent Jemma Simmons, Nick Blood as Lance Hunter and Adrianne Palicki as Bobbi Morse. The show is broadcast in 720 Progressive (720P), ABC’s selected HDTV format with a 5.1 channel surround sound. A TV parental guideline will be assigned closer to the airdate.